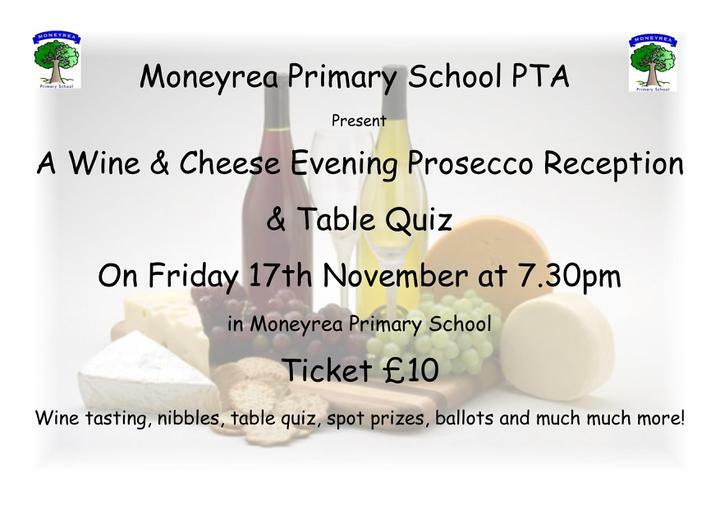 Moneyrea Primary School PTA are hosting a Wine & Cheese Evening with Prosecco Reception and Table Quiz on Friday 17th November at 7.30pm in Moneyrea Primary School. Tickets - £10, available from school office. Availability is limited so get your tickets soon!